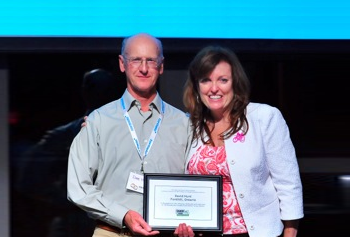 Bike Niagara’s Dave Hunt receives prestigious Award! 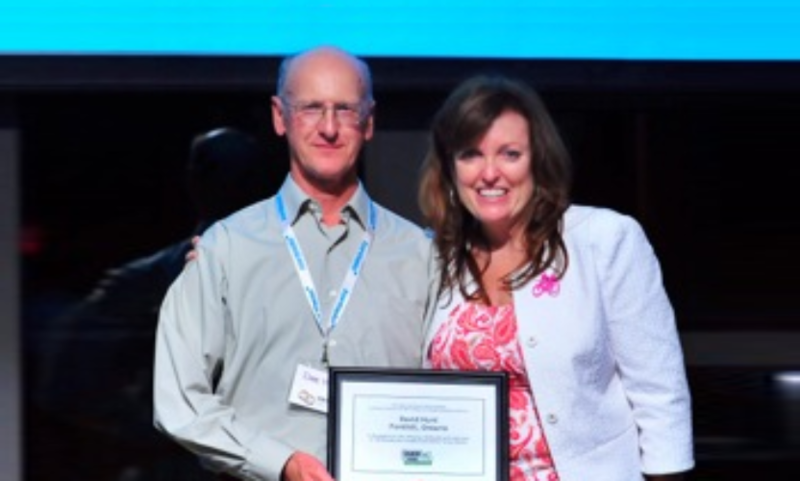 Bike Niagara would like to congratulate Dave Hunt (our bike safety guy) who was the recipient of the 2013 “Wheels of Change Advocacy Award”. The award is given in recognition of advocacy, dedication and leadership in building bicycle friendly communities across Ontario. It was presented at the recent Ontario Bike Summit in Toronto, by Eleanor McMahon from the Share the Road Cycle Coalition. Support for Bicycles? Why do That?? Bike Niagara is a new community service organization, formed by a group of local Cycling enthusiasts interested in helping people get started on bike riding, promoting safe cycling and improving the capability of cyclists. Bike Niagara was conceived in 2011, when four friends (Ted Higgins, Dave Hunt, Walt Berg and Gary Murphy) decided they wanted to create an organization dedicated to giving cycling advice to residents of the Niagara Region. Thinking about starting to ride a bicycle? Getting back into cycling? Want to ride with greater confidence? Bike Rodeos for Children? If you answered Yes to any of those questions, you should attend one of our educational courses.